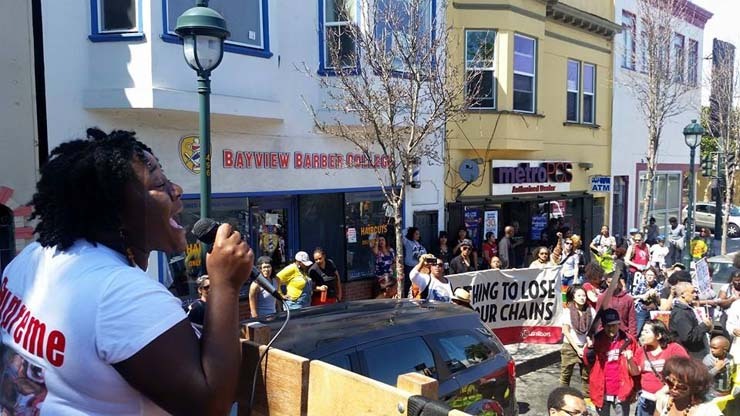 The Bayview Start the Healing march comes on the heels of the growing national Black Lives Matter movement that grew in response to the police and vigilante murders of Trayvon Martin in Florida, Michael Brown in Missouri, and Eric Garner in New York. 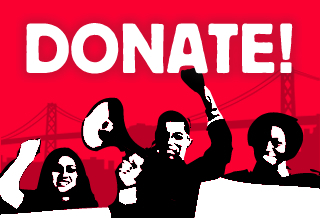 Over the last year a new generation of Black activists have led a series of mobilizations and direct actions, including the BART shutdown on Black Friday last November, more than 3,000 people who filled the Mall of America last December, and hundreds of other marches and actions in Ferguson, New York, Oakland, Chicago, Baltimore, and even as far as Soweto, South Africa. 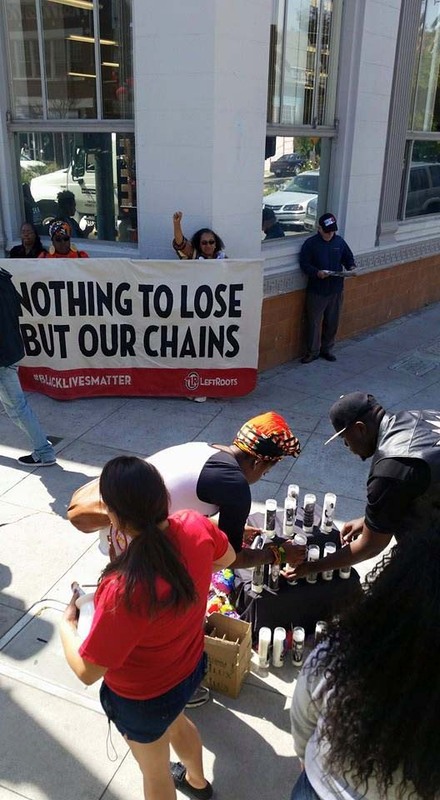 “The Black Lives Matter movement has been clear from the outset that the vision of this growing struggle is not only about ending racist police violence, but also about lifting up and defending the value of Black lives in all contexts—from our housing conditions, the medical care we receive in hospitals, and the conditions of our schools,” said march organizer Rheema Calloway. 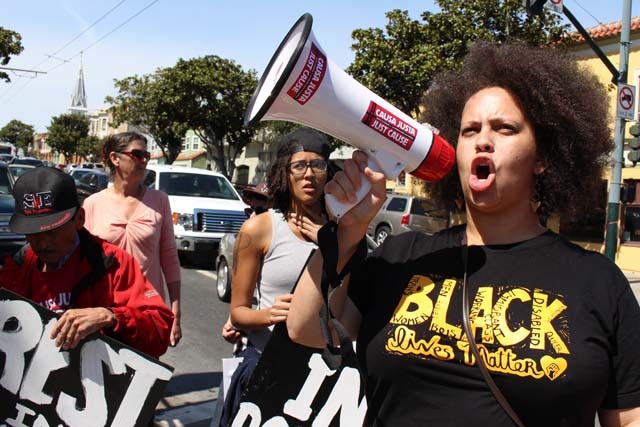 “We should put aside our differences, look at our similarities and come together as a whole community — not only to end oppression but also to learn about systemic issues that keep us divided,” said Janetta Johnson of TGI Justice Project and TAJA’s Coalition. 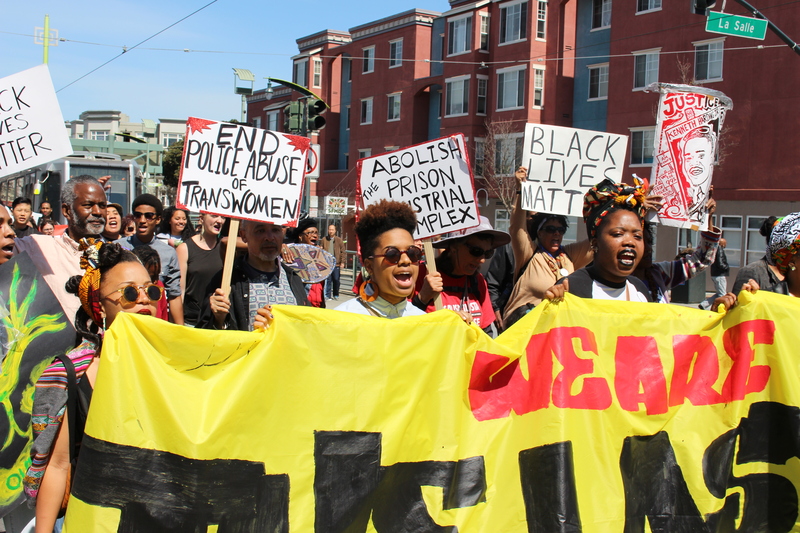 The Trans Activists for Justice and Accountability Coalition (TAJA’s Coalition) came together united in anger and outrage over the murder of Taja Gabrielle de Jesus in early February 2015 in the Bayview. As the march edged toward Martin Luther King Park, stops along Kirkwood, Palou and Quesada streets marked some of the places where lives have been lost. Family and community built a series of altars filled with photos, candles and mementos, lifting up the memories and spirits of those who have been killed. The march ended with a community healing circle where people spoke of the resilience and love for each other and for the growing movement, as children played nearby with activities set up for them. For more photos visit our flickr page.